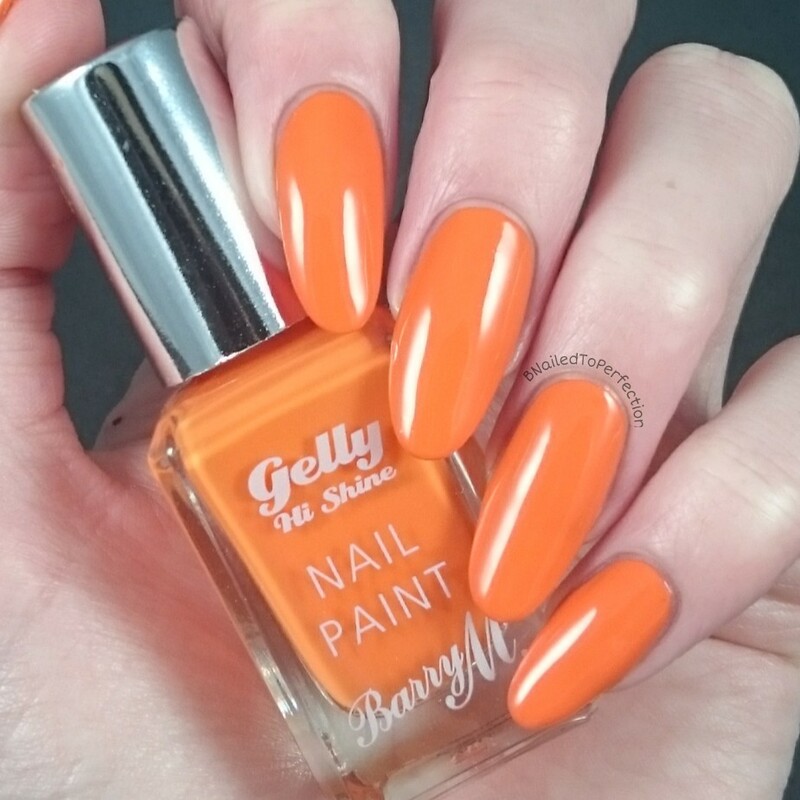 Barry M Gelly Hi Shine in Mango seemed to be the perfect bright orange base for my design. I used three thin coats and topped off with HK Girl fast dry top coat. In my stash I already had some striping tape and happened to have the colours purple and green, how convenient! So I started to apply the tape diagonally across each nail, alternating between the colours. 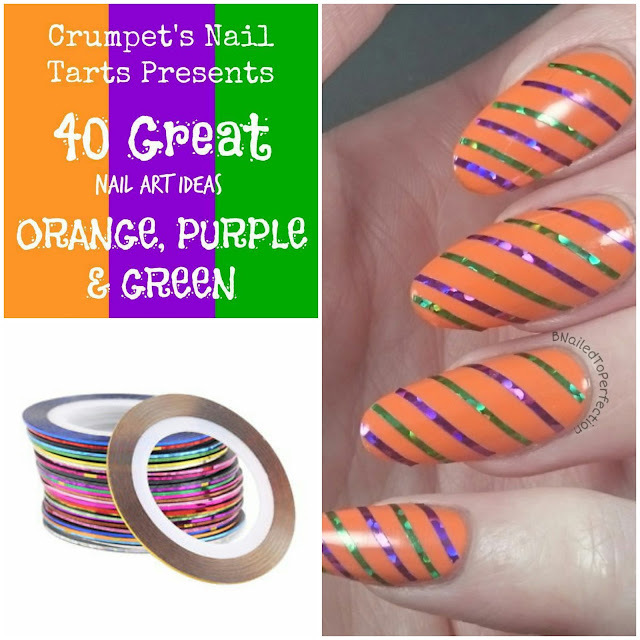 I really dislike striping tape :( it's very fiddly and I can never apply them in the same position as what it is on the other nails. To be truthful, I'm quite pleased with how they turned out. 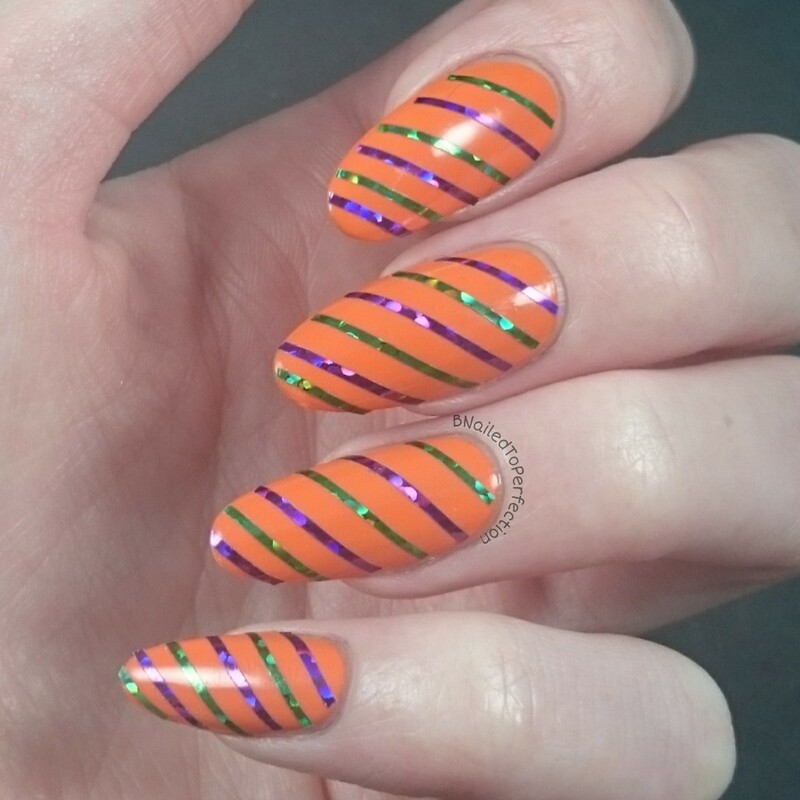 Every time I look at them I just think of Halloween Candy Canes! Are they a real thing already? If so, I've never seen any in the UK. What do you think of my take on this weeks theme? 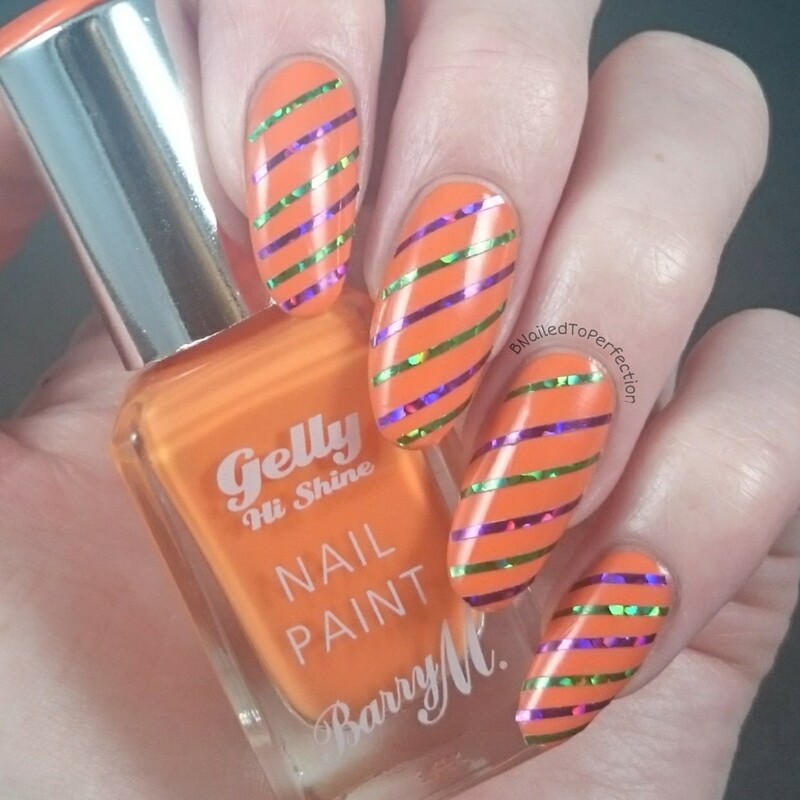 Don't forget to check out all the other manis on the links below.